When couples decide that a marriage is ending, a divorce is not the only option. Often, based on religious or health insurance reasons, couples might elect to pursue a legal separation. Contact our offices to learn more about legal separation and the benefits available to you. The Ontario, California, legal separation lawyer at the Law Offices of Sherrie L. Davidson, Inc., has more than 20 years of legal experience. We can thoroughly examine your unique situation and provide valuable insight based on our experience and knowledge of the law. If you are seeking a legal separation rather than divorce, it is wise to discuss the matter with a knowledgeable attorney as soon as possible. 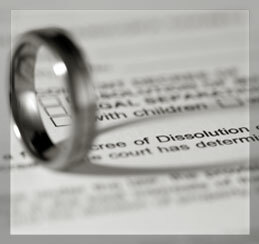 It is important to share these personal decisions with a skilled Southern California attorney. We can provide an honest appraisal of your situation and the obstacles you might face through a confidential consultation. Contact our office today to schedule a meeting. If you have questions regarding legal separation, schedule a consultation with an attorney at the Law Offices of Sherrie L. Davidson, Inc.. We can be reached at 909-937-0099 or through our online contact form on this website. Our normal office hours are Monday through Friday 8:30 a.m. to 5 p.m., but we are closed for lunch from noon to 1:30 p.m.